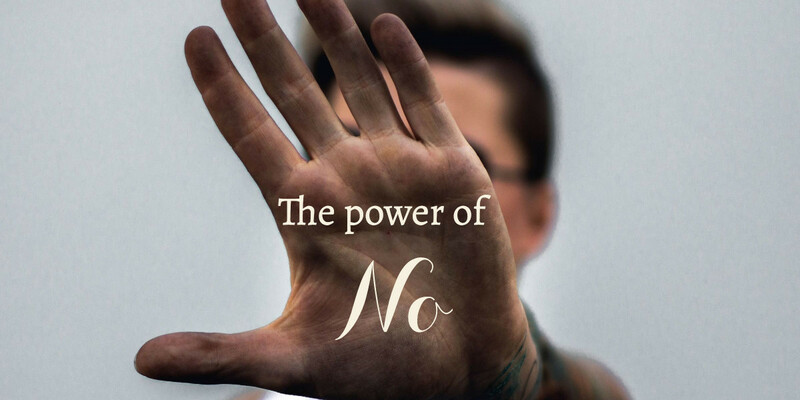 The power of NO - Christine Sheehy & Co.
For a two letter word, No carries a whole lot of baggage. Whether we’re saying it or hearing it, No can push us into uncomfortable places. It confronts us either by the presence of other people’s boundaries, or the absence of our own. Over the holidays, I watched a TED talk by Shonda Rhimes, the creator of hit shows like Grey’s Anatomy, who wrote a bestselling book called My Year of Yes. 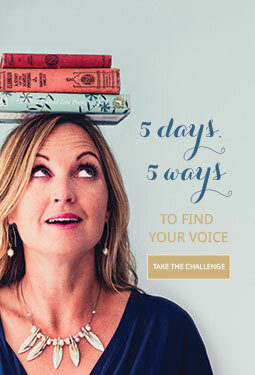 For one year she committed to saying Yes to everything that scared her, and it not only transformed her personal life, but her creative and professional life as well. I was toying with adopting Shonda’s philosophy, when I realised that my problem was not the lack of Yes in my life. On the contrary. There was entirely too much Yes. I said Yes to the school bake sale. Yes to managing the kids’ sports teams year after year. Yes to administrative tasks off other people’s plates, because of course I want to help. Yes to that voluntary project that sucked up oodles of my professional time for months on end. Yes to that thankless, energy-zapping committee role that no one else was stepping up for (and therefore Yes to all the stress and criticism that comes with it). Yes to running around after that unwell family member. Yes to hosting playdates when I was tired or under the weather (because goodness knows I often need the help of friends too). Yes to one more mastermind I didn’t really have time for. Yes to having my brains picked, to giving feedback, to helping a friend’s boyfriend jzoosh up his CV. Yes to expensive software that was supposed to make my biz run more smoothly but actually added layers of complexity. Yes to clients’ unrealistic and last minute deadlines, because, you know, work ethic. Yes to creating the programme someone else wanted me to create, rather than the thing that was in my heart. Sleep. For much of this year I was getting by on about 5 hours a night, just to stay on top of my workload. Anyone surprised I got sick? Fun. I was too exhausted to socialise. My business. When you’re giving so much of your time and yourself to others, there’s a lot less time to invest in billable work, or business building. Writing. I’m a writer for goodness sake and while this year I’ve given away a lot of words in service of saying Yes to others, I’ve barely written for myself at all. Making meaningful progress towards our family and financial goals. An orderly house and garden. Seriously with a schedule like that, who has time? How many of those could you tick off too? I know that I’m not the only woman who does this over giving, over committing thing. And while I’m loathe to admit it, I know that on some primal level, over giving is about wanting to be liked and accepted. Yes I’ll contort myself three different ways for you, as long as you don’t kick me out of the tribe. The trouble is, saying Yes all the time comes with a price. A price paid by the people who matter most. I realised that before I could follow Shonda’s philosophy and start saying YES to the scary-yet-rewarding stuff, I had to start saying No to other things. So one month ago, I made a decision not to take on any voluntary commitments for the next twelve months. I would say No to things that I don’t want or don’t have capacity to do, rather than twisting my schedule to find a way to help. I would keep the kids’ activities to a minimum, simplify our lives as much as possible and allow myself the time and space to regroup and heal, after what has been a pretty gruelling two years on a personal level. In one month, I’ve turned down spots on two committees and extracted myself from another. I declined an opportunity to bake for a fundraiser for an organisation to which I have already given hundreds of hours this year (even if I found myself giving five reasons why I could not contribute this time – facepalm!). I’ve sat on my hands on multiple occasions when volunteers were called for, and felt no need to justify (see I am getting better at it). I prioritised my health over attending work functions when lingering bronchitis had me struggling to breathe in the cold night air (a month ago I would have drugged up, rugged up and gone along anyway). I’ve pulled out of events and engagements that don’t feel nourishing to me, or where I don’t really feel I can be myself, in favour of times with the ones I love or just time with a good book. See how many opportunities there are to over commit in just one month? The plan is that by pushing myself to say No even when it feels uncomfortable, I’ll expand my capacity to say Yes. Yes to my family, Yes to my business and Yes to my dreams. Yes to myself. Yes to a simpler, happier, more creative life. Bravo girl for taking care of you.!!! I remember those days of taking care of everyone but yourself,… sorry you ended up sick. Nothing like your body forcing the down time you need. I remember hearing about Shonda Rhimes “Year of Saying Yes” and felt the same thing you did- at first it sounded great, but then it just felt like I was adding more to my to-do list. I get saying yes to the things that scare you, but I completely agree that you first have to say no to the things that no longer serve you..
It’s funny that we feel we need to explain and justify our No, isn’t it? I recently spent way too long crafting an email turning down a request for my time, because I didn’t feel it was appropriate to just say no thanks. We need to get better at doing this without feeling like we’re offending someone or being rude, and we also need to get better at a accepting No, and not make it mean something it’s not. Thanks Stephanie! Yes I’m constantly bemused by how hard it really is… funny about that email, you probably could have just done the job in the time it took to craft a gracious response. I think my next post might have to be some tips on how to give AND receive a gracious no.